Preorder Diaspora at THIS LOCATION. Slated to drop this August, Diaspora is the imminent new full-length from progressive blackened death collective CORMORANT. Recorded and mixed by Greg Wilkinson (Vastum, Graves At Sea, Noothgrush, Brainoil) at Earhammer Studios in Oakland, California, the expansive four-track, sixty-one-minute offering features the band’s longest, most detail-oriented compositions to date – the result of two years of collaborative writing. In advance of its release, today Decibel Magazine offers up first single, opening track “Preserved In Ash,” for public feasting at THIS LOCATION. Diaspora will be released independently on 2xLP, CD, and digital formats on August 11th with US and European distribution through War Crime Recordings. Preorders are currently available at THIS LOCATION. Musically, CORMORANT‘s Diaspora features familiar elements of black, death, prog, and folk metal, but pronounced psychedelic and funeral doom influences can be heard throughout as well, particularly on the twenty-six-minute closing epic, “Migration.” Diaspora also features dynamic performances from renowned cellist Jackie Perez Gratz (Grayceon, Giant Squid, ex-Amber Asylum). Mastered by Brad Boatright (Sleep, YOB, Gatecreeper) at Audiosiege, the album is a crushing statement from one of the Bay Area’s most consistent extreme metal bands. Oakland dwellers can catch CORMORANT live this August. Future CORMORANT performances are in the plotting stages. 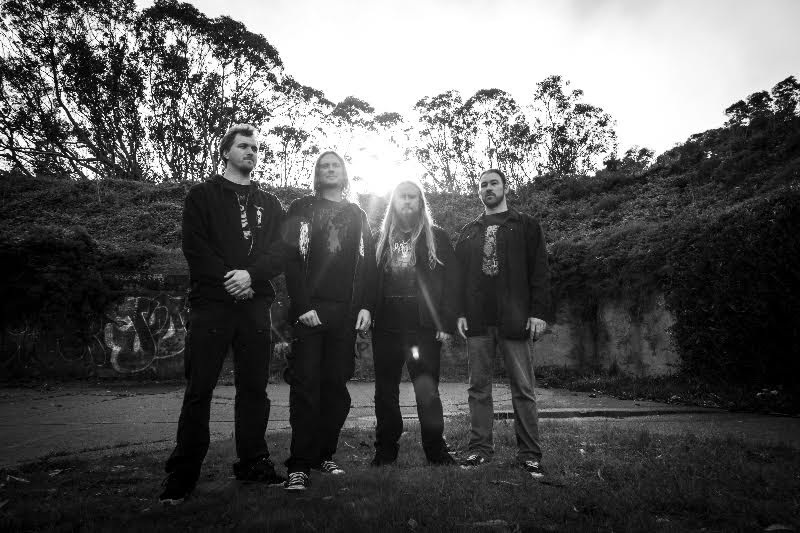 CORMORANT is a progressive black/death metal band from Petaluma, California. Forged in 2007, the group consists of bassist/vocalist Marcus Luscombe, guitarist Nick Cohon, guitarist/vocalist Matt Solis, and drummer Brennan Kunkel. In addition to performing numerous shows throughout the Bay Area with notable acts like At The Gates, Wolves In The Throne Room, Ne Obliviscaris, and Pallbearer, CORMORANT has completed full US tours with Primordial, While Heaven Wept, YOB, Norska, and others.